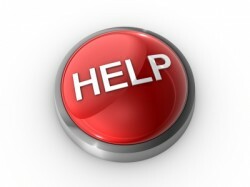 Help desk software solutions. Support ticket systems. Internet access drives the modern economy. Where true global reach of products and services was once a distant goal of industry leaders, it is now commonplace. As the Internet continues to saturate the everyday life of more and more people, this trend will only accelerate exponentially. But with growing productivity, you get growing customer support needs. Can your support staff handle an influx of callers on top of what they’re already dealing with? Of course, a handful of support professionals cannot provide support to millions of customers. However, as the Internet has reinvented the way we do business, it has also reinvented support. Instead of requiring direct contact, many customers are realizing the benefits of online help desks. These services are provided over the Internet, often free of charge, and assist customers with whatever support issues they are having. This movement to provide service on the Internet is a part of a larger movement called cloud computing, and both help desks and cloud computing have demonstrated business benefits in non-traditional means. The help desk software industry is one of the fastest growing sectors in the computer software industry. As companies of all sizes across the globe continue to realize the importance of cultivating long-lasting relationships with their clients through increasingly technical media, this industry is poised to grow well beyond the hundreds of help desk software solutions that are already in existence. For small and large companies alike, choosing the right software solution is the key to providing outstanding customer service and support. In many cases, help desk software also provides internal team members with an effective way to communicate with one another about internal and external issues, while also allowing them to measure their effectiveness when responding to various types of client issues. For many companies, the process of selecting help desk software is a major cause of stress and the final decision often comes after many months of deliberation. Usually, this is due to the wide variations in available features across products and the lack of a clear understanding of which features will best suit the company’s needs. However, this process can be made much easier by gaining an understanding of the help desk industry and how each solution approaches the task of creating a transparent flow of information between both staff members and clients.